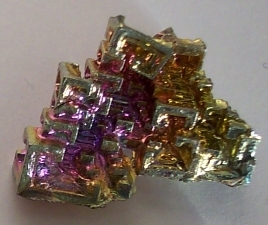 Bismuth is a metal, occurring as beautiful multicoloured metallic crystals arranged in geometric patterns. It helps to stimulate creativity and imagination. Bismuth is an excellent stone for storytellers.